Eutelsat Communications and Facebook have selected Hughes Network Systems, LLC (Hughes) to supply its JUPITER™System as the technology platform for satellite broadband services that both companies are preparing to launch in Sub-Saharan Africa. 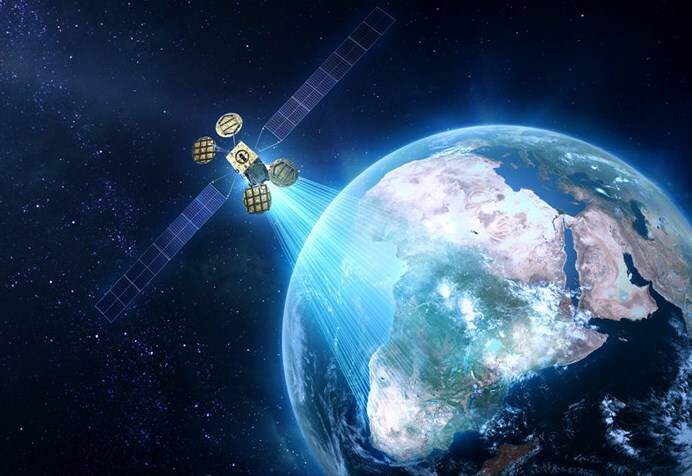 With the selection of the JUPITER System, along with high-gain Ka-band spot beam capacity provided by Spacecom’s AMOS-6 satellite, Eutelsat and Facebook are assembling a dedicated infrastructure that will extend cost-effective broadband to areas of Sub-Saharan Africa beyond reach of fixed and mobile terrestrial networks. The AMOS-6 satellite is due to enter service in early 2017. The JUPITER System configuration purchased by Eutelsat includes three gateway stations, two centralized data centers, a comprehensive network management system and an initial number of user terminals. For Facebook, the system will support its Express Wi-Fi project, intended to expand connectivity to underserved locations by working closely with operators, Internet service providers, and local entrepreneurs. Eutelsat will employ the system as a key platform to drive growth of premium consumer and professional Internet connectivity services in Sub-Saharan Africa. “We evaluated all major broadband system vendors before selecting Hughes. Their decades of experience in satellite technology and the JUPITER System’s proven capabilities made it our preferred choice for this exciting venture with Facebook,” said Laurent Grimaldi, CEO of the new broadband company created by Eutelsat to steer its African broadband vision and business. Featuring a flexible and robust gateway architecture with lights-out operation, enhanced air interface for bandwidth efficiency, and high-throughput terminals, the JUPITER System enables operators to achieve the highest possible capacity and efficiency for any satellite broadband implementation. The foundational technology is the powerful JUPITER System on a Chip (SoC), a custom–designed VLSI (Very Large Scale Integration) processor employing a multi-core architecture and enabling more than 100 Mbps of throughput on every terminal in the JUPITER family.